The windows have been arranged in L-shapes over 16 storeys of Birmingham’s Holiday Inn Express. 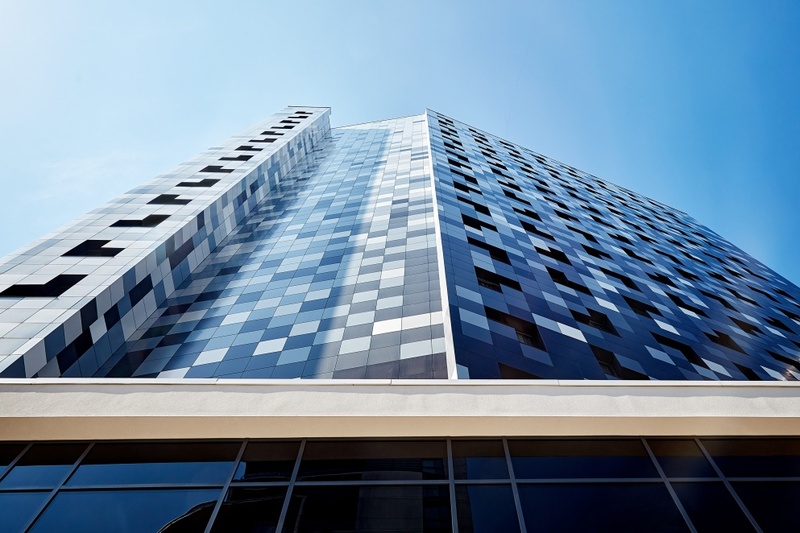 Aluminium windows by leading UK manufacturer Kawneer are at the heart of a striking patterned facade to one of Birmingham’s latest new hotels. 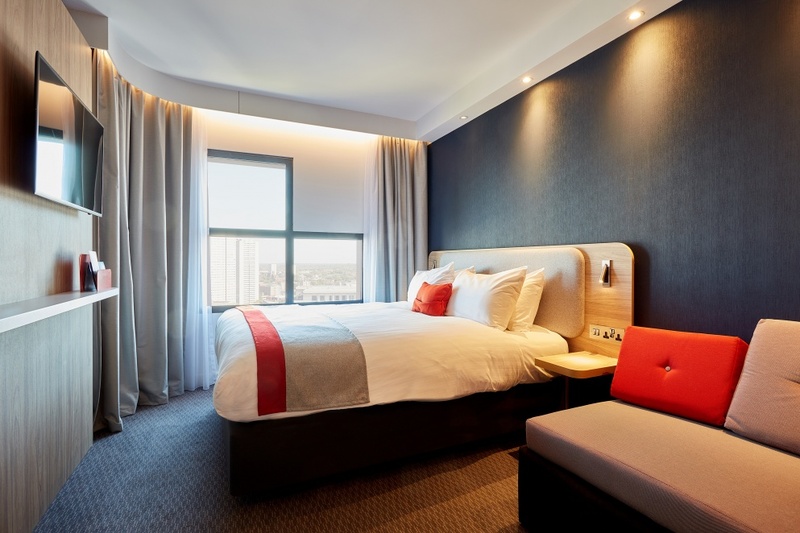 The Holiday Inn Express in the city centre features sets of three of Kawneer’s AA®540 windows as fixed lights designed in L-shapes within checks of multi-coloured rainscreen cladding by KKA Architecture. 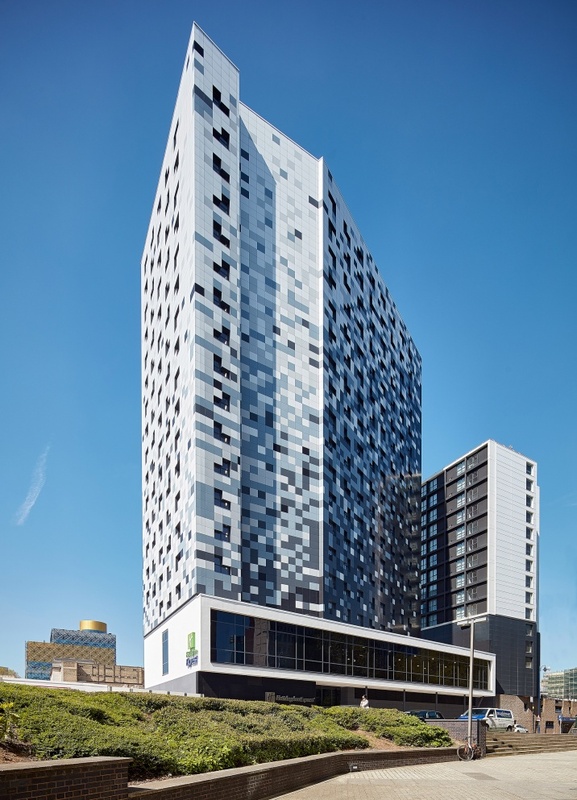 The facade of the hotel in Birmingham city centre’s enterprise zone also uses Kawneer’s AA®110 zone-drained curtain walling with 65mm sightlines and series 190 heavy-duty commercial entrance doors. 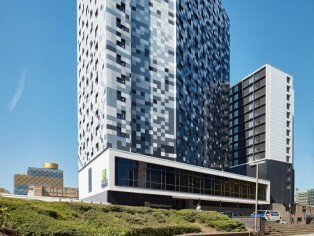 The Kawneer systems were installed over 20 months by APiC UK for main contractor John Sisk and Son who were awarded the contract following their successful completion of the Holiday Inn Express Manchester Hotel for the same client (DRPT Birmingham). The £16.3 million hotel comprises 250 bedrooms, restaurant, reception and meeting room facilities over 17 storeys, with three lifts and CCTV and PA to all areas. It forms part of the new 1.2 million ft² Arena Central mixed-use development currently under construction on nine acres of adjoining land. Construction was steel frame to levels one and two and to transfer decks, with floors three to 17 in precast crosswall construction. 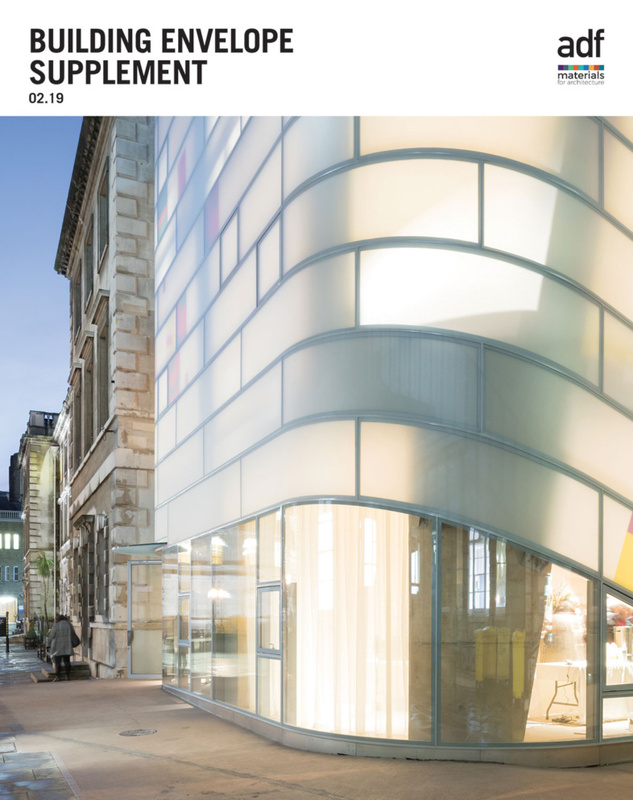 The facade is rainscreen to all elevations with the Kawneer windows as inset glazing that looks as impressive from the interior as it does the exterior.